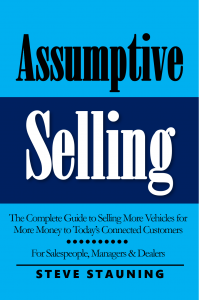 Is Assumptive Selling really the complete guide to selling more vehicles for more money to today’s connected customers? Is it really the best car sales book written for today’s car salespeople? What will I learn when I drop fifty bucks on the best book written for today’s automotive sales professionals? The book opens with a brief overview what Assumptive Selling is and what it isn’t. 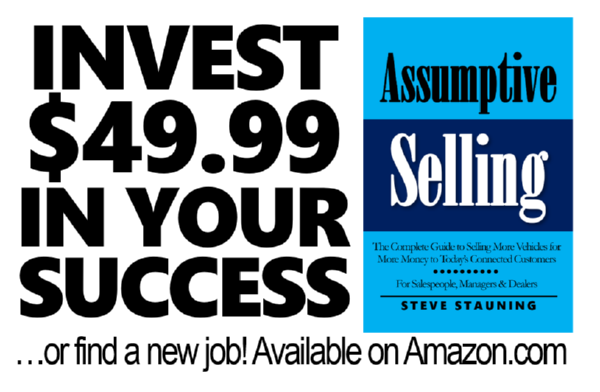 In this chapter, you’ll learn why today’s Assumptive Selling works and how it differs from an old-school, though still effective, Assumptive Selling style. 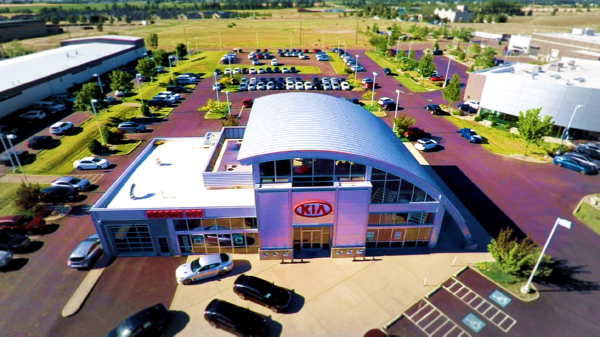 Selling cars is more than just showing up and waiting on the Up Bus. In this chapter, you’ll learn some basic and not-so-basic “must haves” for selling cars in the hyper-competitive marketplace we all face today. The greatest threat to your dealership’s ability to profitably grow market share is the revolving door of new hires. In this chapter, dealers and managers will learn everything they need to implement to eliminate their turnover issues and create the strongest sales team in their market! It’s no secret that most people love buying cars, but they hate the traditional experience. In this chapter, you’ll learn why and how to provide a great experience every time with every Up. An experience, by the way, the average customer will gladly pay you more to enjoy. The sad fact is that the Up Bus is showing up less often and with fewer buyers on board. In this chapter, you’ll learn how to use the old-fashioned networking techniques that still work today to begin driving your own Ups onto the lot to come buy from you. Most of today’s car buyers have all the information they need to make an informed decision before they ever arrive on your lot. In this chapter, you’ll learn why this matters in your road-to-the-sale and how to best handle these informed consumers. Today’s Ups don’t fall for the fake sticky-sweetness or insincere rapport-building taught by so many old-school trainers. In this chapter, you’ll learn how to communicate with today’s Ups in a way that lets you take charge and control the buyer from beginning to end. Forget Big Data, the dealers and salespeople who win today are winning with Perfect Data… that is, the Small Data they enter into the CRM each day. In this chapter, you’ll learn why it matters that your CRM is accurate and how to achieve Perfect Data to help you sell more cars for more money. Some of today’s social sellers are generating 80% or more of their business from their Facebook connections… and you can too. In this chapter, you’ll learn everything you need to know to properly create and market your own personal brand on Facebook and other social media sites. Did you know the average automotive salesperson only closes about 10% of the Phone Ups they handle, while assumptive sellers can routinely close more than half? In this chapter, you’ll learn the new-school (direct) way to move the Phone Up onto your lot so you can sell them a car… today! You cannot sell an empty seat! If you can’t overcome a basic phone objection, you’ll never get them to show for an appointment. In this chapter, you’ll learn how to overcome the most common phone objections you’ll receive from today’s connect car buyer. Without a process in place, you’ll never close your internet leads at an acceptable rate. In this chapter, you’ll learn the automotive internet sales processes, email templates and voicemail scripts that today’s top dealers use to close better than 20% of their internet leads. There’s some math that works in the car business regarding making outbound calls. The math, which was true yesterday and is true today, goes like this: Make 1,000 quality outbound calls, sell 30 cars. In this chapter, you’ll learn how to make 1,000 calls a month and, more importantly, what to say when you connect with a buyer. 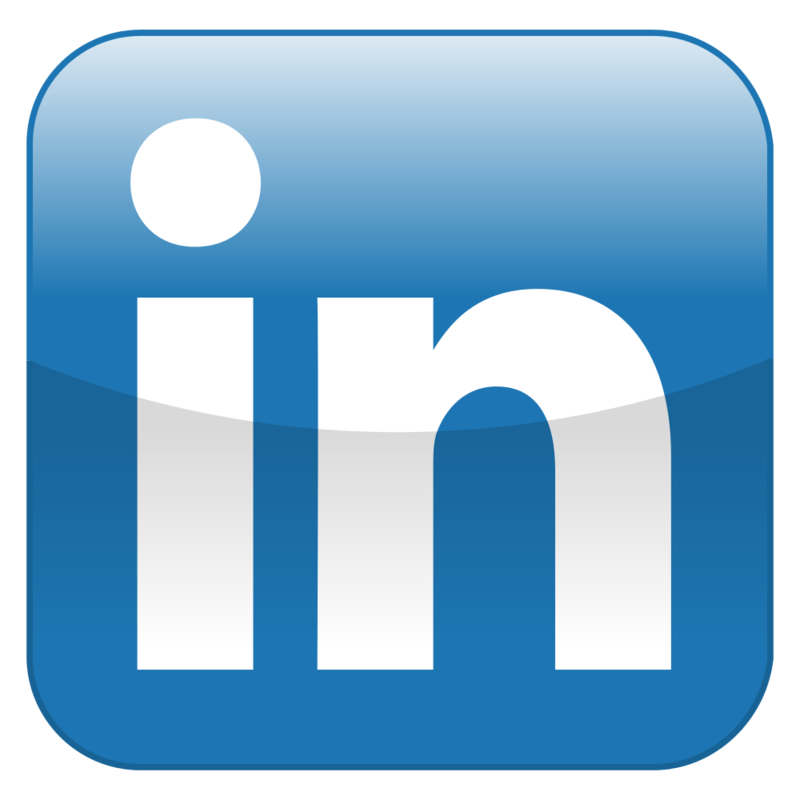 Studies say it costs you five times more to acquire a new customer than to keep an old one. For dealers, the sales generated by their owner marketing efforts (selling to their database) close at higher rates with better grosses and CSI than Traditional Ups. In this chapter, you’ll learn everything you need to know to connect with and sell the customers in your dealership’s DMS – even if you weren’t their salesperson when they bought their last vehicle from your store! Dealers who strictly follow The Perfect Appointment see 80%+ show rates and 80%+ close rates of their appointments that show. In this chapter, you’ll learn everything you need to know to instill an appointment culture in your dealership and how to execute all the steps to The Perfect Appointment. Your traditional road-to-the-sale is too long, too clunky and too nonsensical for today’s Ups. That’s why the average dealership is still closing only about one in five of their Ups. In this chapter, you’ll learn how to shorten your road-to-the-sale in a way that pleases the buyer, earns you 90% demo drive rates, and helps you close more car deals for more money than you ever thought possible. Closing a buyer has more to do with what happens during the first third of your-road-to-sale than the last third. In this chapter, you’ll learn the actual word tracks you need to know to overcome the objections you’re receiving on the lot in a way that moves your buyer through your process and into the write-up. You sold them! They’re now in the business office and your job is done, right? Wrong! If you expect to earn perfect CSI, their repeat business and multiple referrals, then you need to ensure the delivery is perfect for your new buyer. In this chapter, you’ll learn what you need to know to ensure a perfect delivery with every customer. Oh, you didn’t sell them… they told you they’re going to “be back later.” They’re not coming back… unless you ask them to. In this chapter, you’ll learn the current processes and word tracks that give you the best chance to get a Be-Back to come back. Bottom line: if you want to sell more cars for more money and enjoy the greatest number of laydowns, you’re going to have to generate referral business from those you sell. This means asking for the referral. In this chapter, you’ll learn when and how to ask for and get referrals from your sold customers. The book wraps up with a short, simple chapter on the virtues of being a Green Pea; and how acting like you did when you were brand new is one of the easiest ways to regain your lost success in selling cars. Listen, if your success in the car business isn’t worth $50, then you’re in the wrong business. Buy this book, read it, learn the lessons, and use them… or, keep on selling 8-10 a month. It’s your choice.